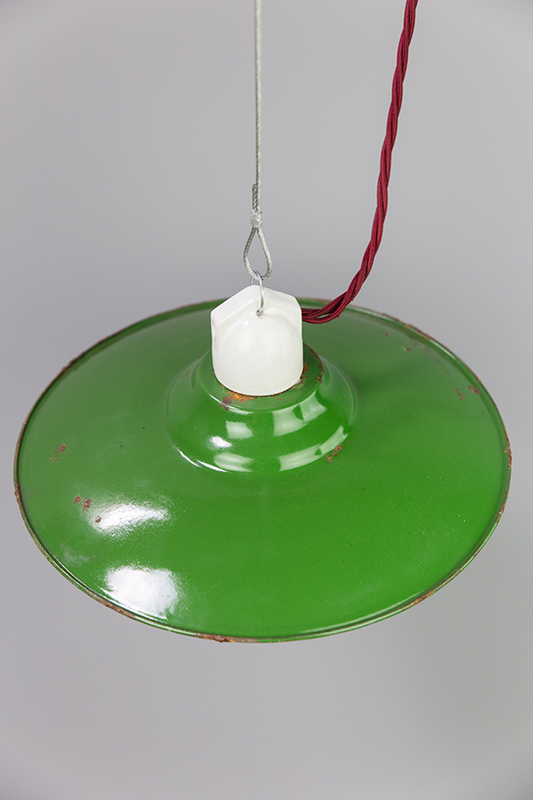 The Olive Sparrow features a porcelain base which is connected to the enameled shade. 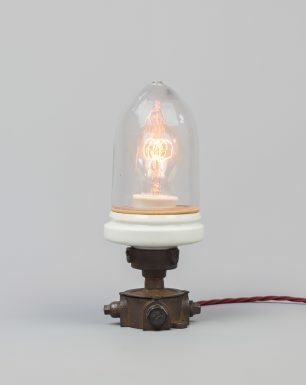 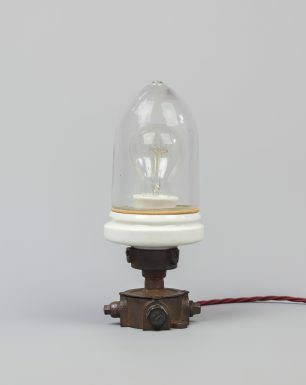 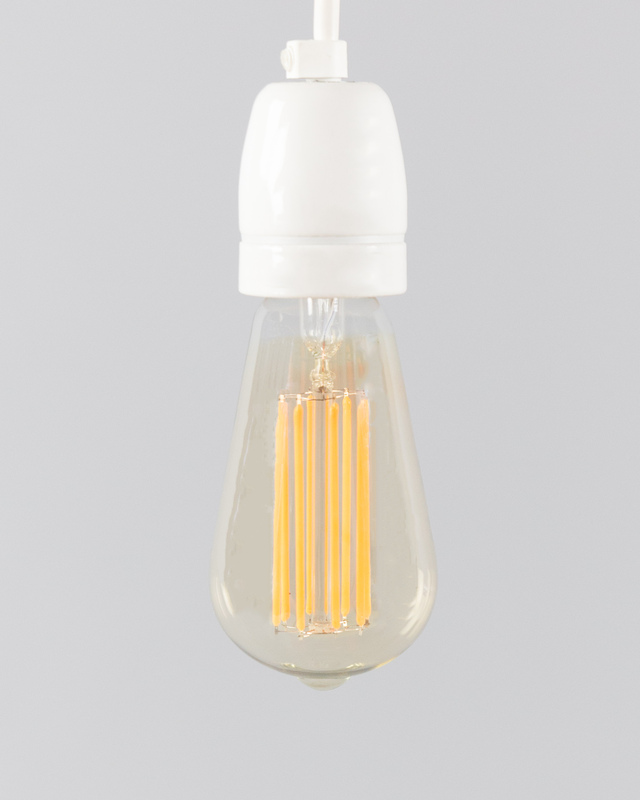 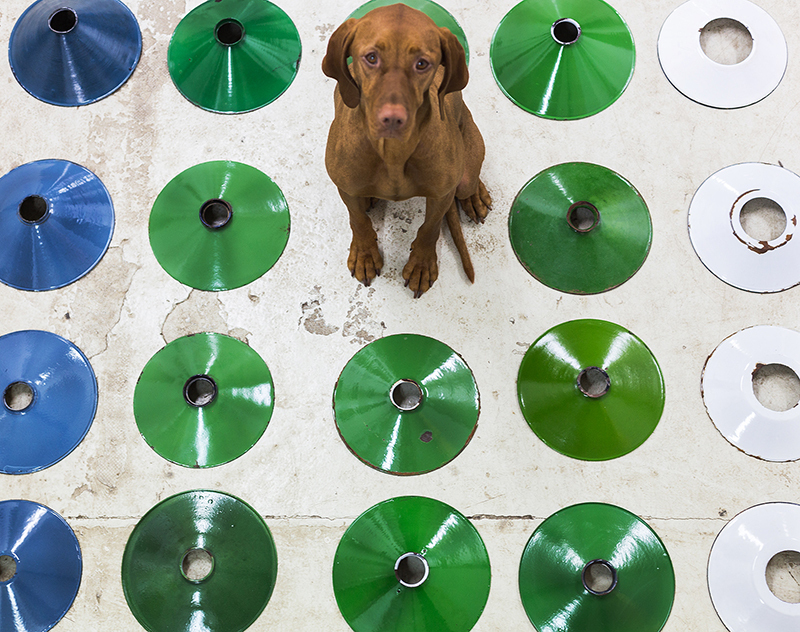 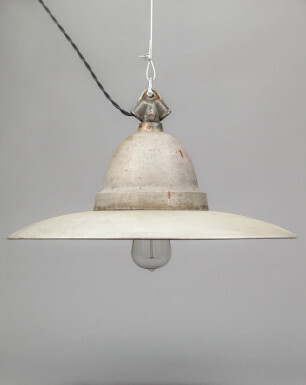 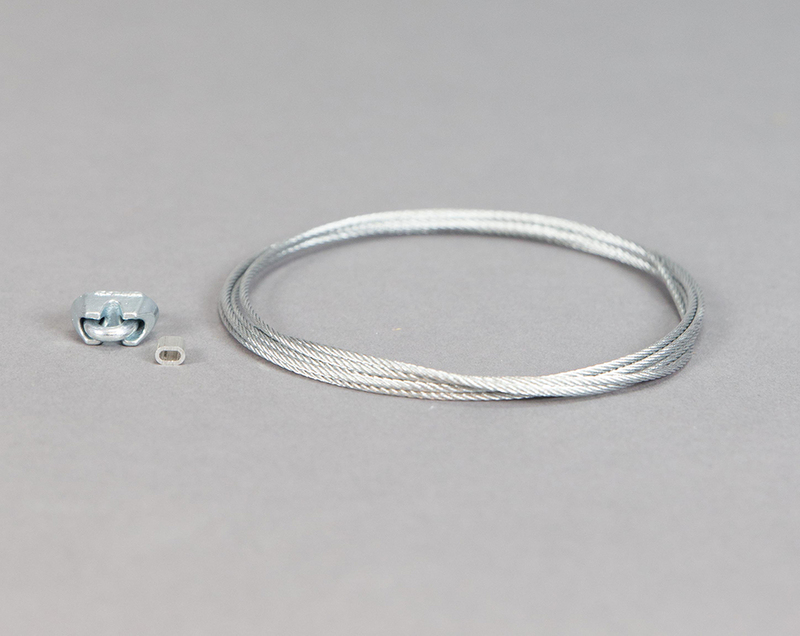 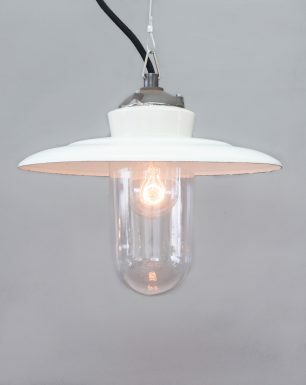 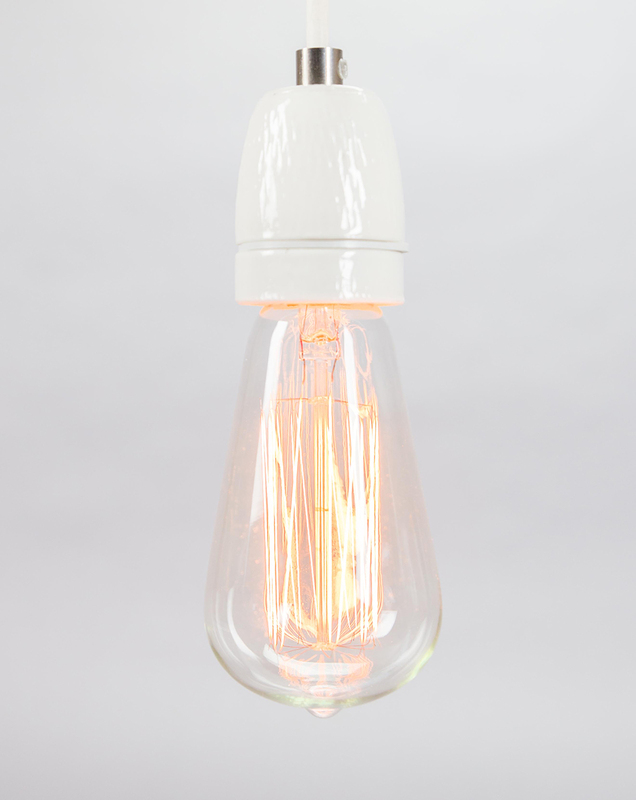 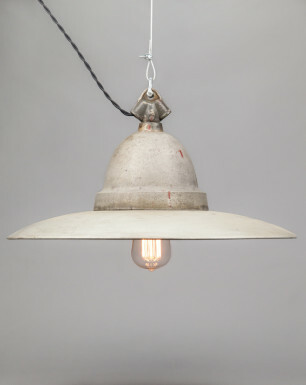 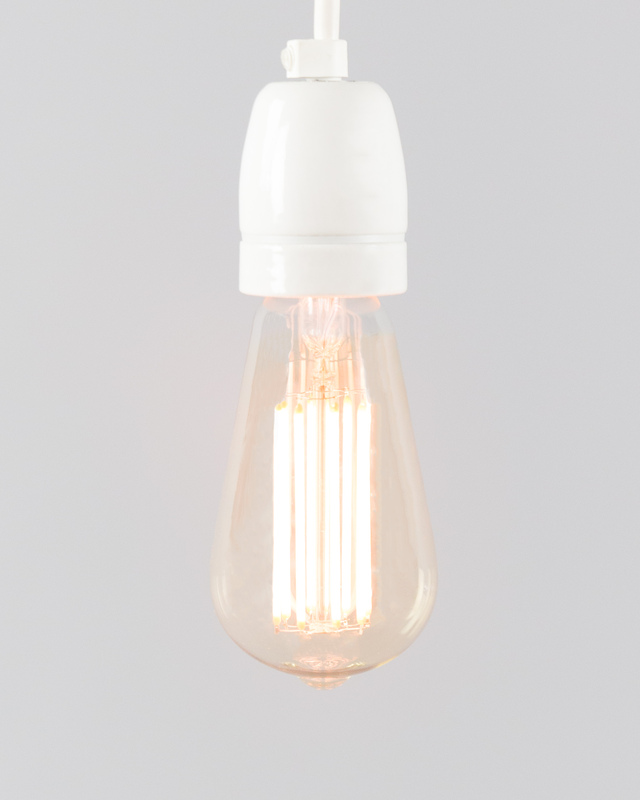 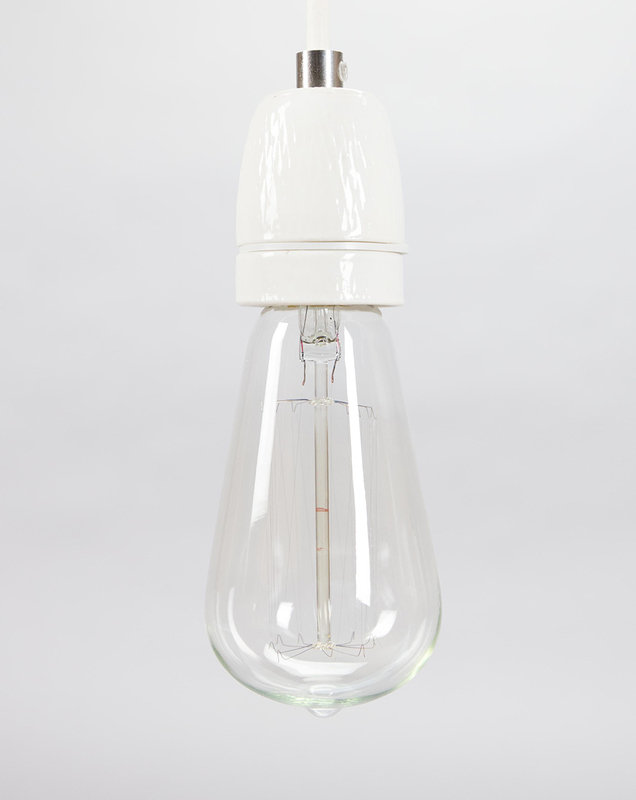 Its pure and straightforward design makes it a simple, yet elegant fixture. 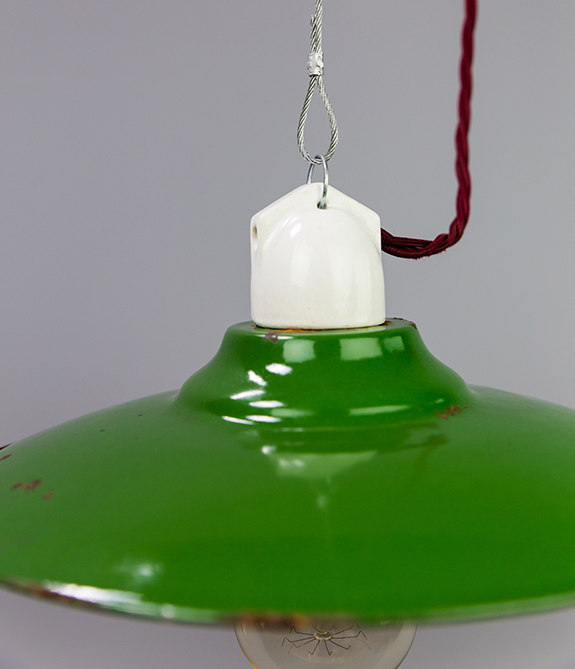 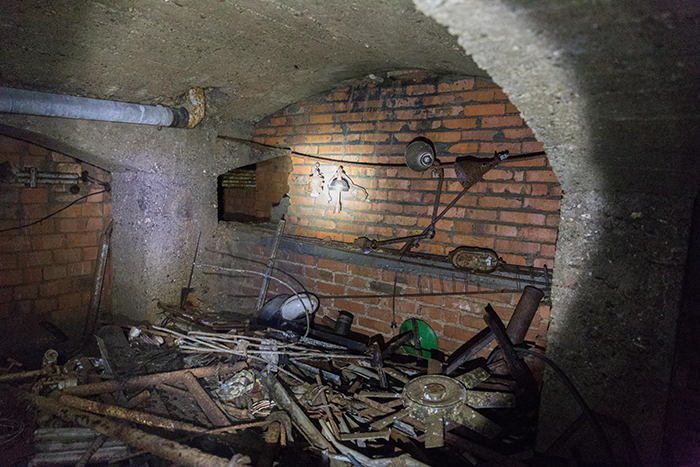 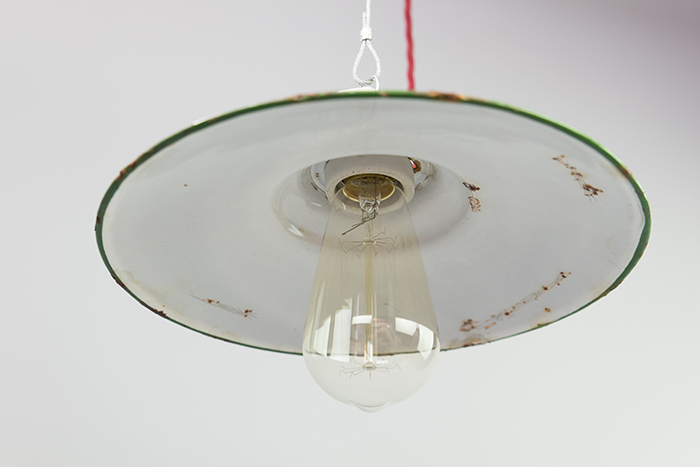 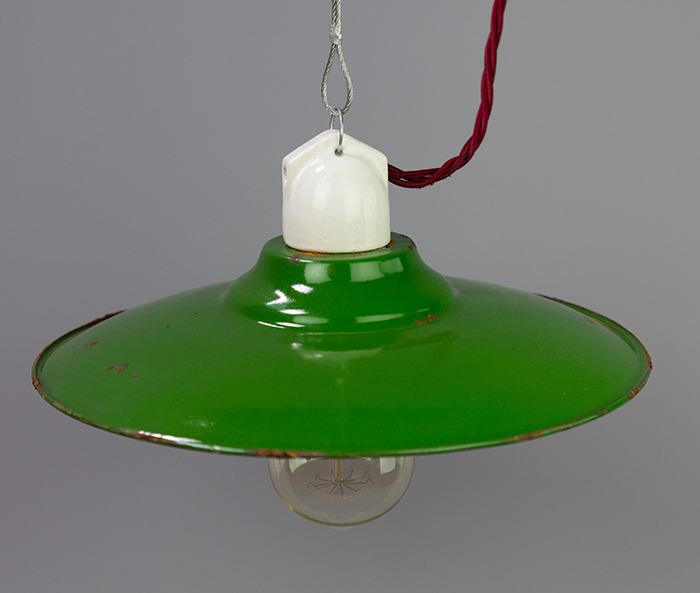 The enamel shade has a typical green color. 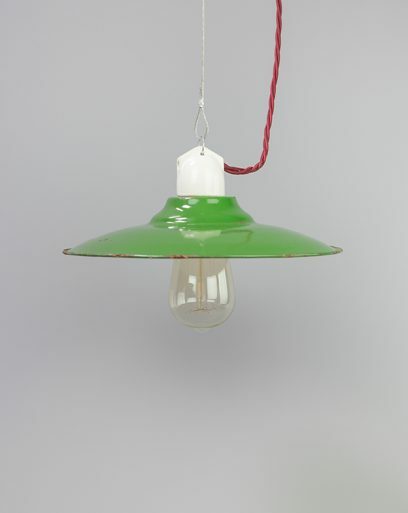 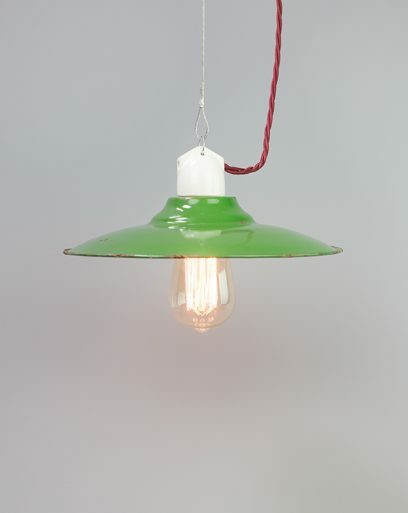 We featured it with a red twisted textile cable and special deco bulb to add even more emphasis to the green colored enameled shade.